Wrap your face in cling film and packing tape to get its shape. Trace the shape onto paper and reconstruct it temporarily to ensure symmetry. Once you've decided on the shape of the mouth, flatten it again. The shape paper is now complete. In total you need four of these shape papers: face, jaw, neck and eyepatch. We will now create the face piece. Place the paper shape against synthetic leather and cut around it. Stitch from the nose to the mouth, then from the mouth to the jaw. Afterwards, stitch on the lower jaw part. 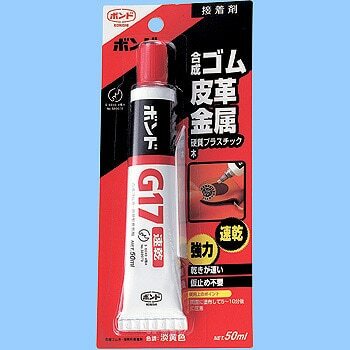 Make small incisions inside the mouth area, then attach a wire in the shape of the mouth using G17ボンド ("G17 bond") and roll up the leather. The nose and cheek areas are constructed in a similar fashion, by embedding wire. With that, the base of the face piece is complete. Stitch zippers onto the neck part, then stitch it to the face part. Next we'll create the "gills" (?) - metal fixtures - using embossing stamps as a base (can be bought at a 100yen shop). As shown in pictures 3 and 4, cut some 2mm and 5mm ライオンボード ("Raionboad", apparently since renamed to リアラボード "Realaboad") into discs and sandwich them together. Apply a base coating to the discs and the stamps using ジェッソ ("Jesso", the black paint in the 5th picture) and then an upper coating using silver spray. Make holes in the mask and glue embossing stamps together so they sit on either side of the mask. Attach the metal fixtures on top. It's starting to look the part isn't it? We'll now create the inside of the mouth. The teeth are made with a light and soft resin-like clay called Modena. Once they've dried, apply transparent varnish. Next, cut a piece of Raionboad so it looks like the top of a row of teeth, and cover the borders with a glue gun. Attach red synthetic leather using G17 bond and glue the teeth on top. It's time to make the eyepatch. Cut a piece of Raionbond into a square and some "strings". Put the strings around the edges of the square and as an "X" in the middle. Carefully attach leather and push it down to make the lines become visible. I didn't have eyelets in the right size so I used washers instead. Finally, create the band with leather and stitch the eyepatch on. It's now possible to attach things to the eyepatch using magic tape. We're nearing the end. Attach a zipper to some red leather and stitch that onto the teeth part. Finally, attach it all to the face part, put washers and a rubber string on the nose and you're done! For the rubber string, attach a small hook to the backside of the eyepatch. Of course, the eyepatch and the mask can also be used by themselves. The zippers can be opened and closed as you like. Your perfectly fitting and real-looking mask is now complete. In Part 3 the エラ is 鰓 (gills)....the silver disk bits.